One of the bonuses you get with a Google Pixel 2 or Pixel 2 XL is unlimited original quality cloud storage for photos and videos in Google Photos, but check the small print and you’ll see that this only applies until January 15, 2021. That still gives you just over three years, but it’s not quite as permanent as you might have expected, especially given that the original Pixel and Pixel XL don’t seem to have any such limitations. 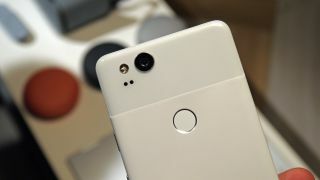 After that date you’ll still get unlimited high-quality storage (which means 16MP photos and 1080p videos) but that’s what everyone else gets and means you won’t be able to make the most of the Pixel 2’s 4K video camera – a camera which tops DxOMark’s video ranking – if you plan to store the footage in Google Photos. However, speaking to Engadget, a Google spokesperson confirmed that photos and videos you take before 2021 won’t be compressed, so just make sure you get everything uploaded before that cut-off date. And chances are you’ll have changed phone again before then anyway. Indeed, the spokesperson noted that “we know that people tend to change their phone every 2-3 years so for Pixel 2, we are offering storage in line with that". So this shouldn’t really be a problem unless you were planning to hold onto your Pixel 2 for a long time, but it’s worth knowing. Google Pixel 2 vs Google Pixel 2 XL: which new phone should you buy?